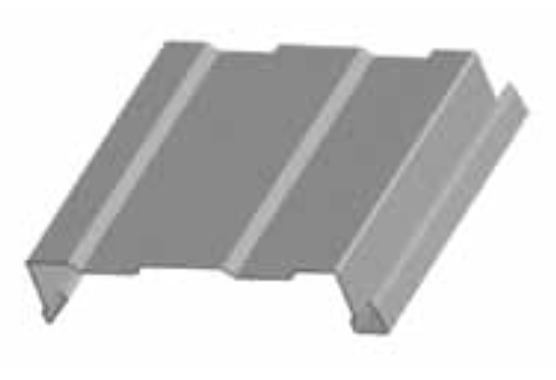 PBr is suitable for roof, wall, liner, mansard and soffit panel applications. This panel has a coverage width of 36" and a 1 1/4" rib height. Standard gauge is 26 but 22, 24, and 29 options are available. PBr is designed for roof slopes of 1/2:12 or greater. PBC is well-suited for both roof and wall applications and offers the additional strength of an exposed fastener panel. PBC is commonly used in horizontal applications on walls. The PBC panels have a coverage width of 32" and are 7/8" deep. Standard gauge is 26 but 22, 24, and 29 options are available. PBC is designed for roof slopes of 3:12 or greater. PBd offers the additional strength of an exposed fastener panel for both roof and wall applications. 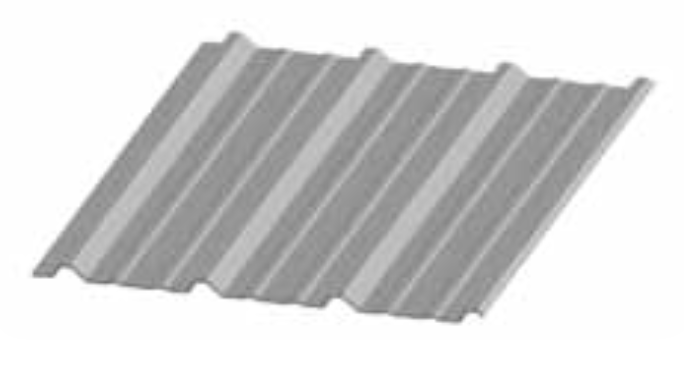 PBd panels are symmetrical from top to bottom making it ideal for roof liners. Panels can be installed vertically or horizontally in wall applications. PBd panels have a coverage width of 32" and are 5/8" deep. Standard gauge is 26 but 22, 24, and 29 options are available. PBd is designed for roof slopes of 3:12 or greater. designed to be used for both roof and wall applications. 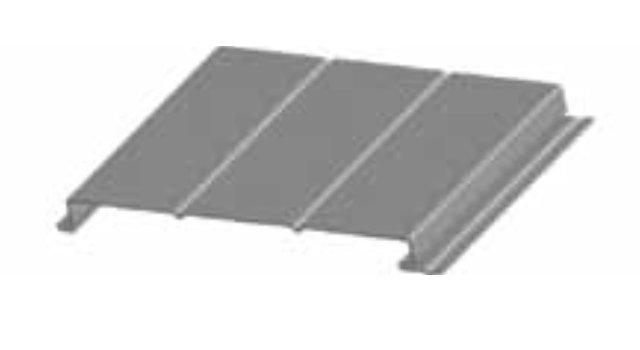 PBU is an exposed fastener system and can be installed directly over purlins and joists. Panels can be installed vertically or horizontally giving architects the option to design a contemporary appearance for their project. PBU panels have a coverage width of 36" and are 3/4" deep. Standard gauge is 26 but 22, 24, and 29 options are available. PBU is design for roof slopes of 1:12 or greater. The AVP architectural panel for sidewalls produces a decorative, shadow line to create a distinctive architectural effect with exposed fasteners. AVP panels have a coverage width of 36" and are 1 1/8" deep. Standard gauge is 26 but 22, 24 and 29 options are available. The designer Series panels combine the toughness of metal while flAt creating an attractive, flexible and functional wall or fascia panel. This panel comes in a flat profile with a coverage width of 12" and are 1 3/4" deep and a fluted profile with a coverage width of 16” and fluted are 1 3/4" deep. Standard gauge is 24 but 22 is available. Shadowrib panels can be used for walls, fascias and equipment screens. The concealed fastening system and fluted profile creates a clean wall design with distinctive shadow lines on the wall of the building. 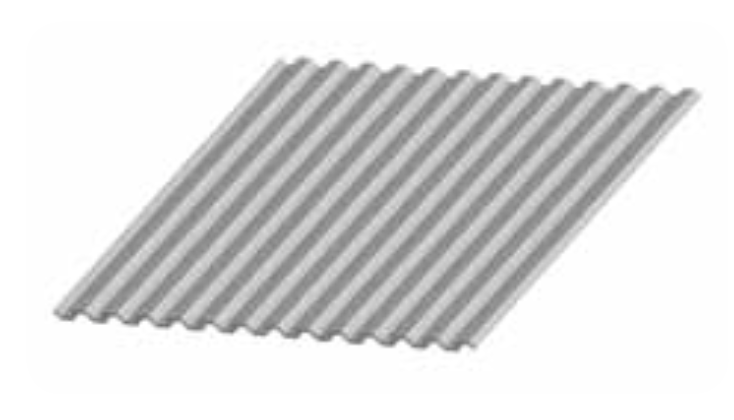 Shadowrib panels have a coverage width of 16" and are 3" deep. Standard gauge is 29 but 22 is available. nuWall panels can be used for either new or retrofit construction. The concealed fastening system creates a clean, uninterrupted wall on a building. This system is based on a 12-inch module and when used on existing panels, the panel ribs must be 6 inches or 12 inches on center. nuWall panels have a coverage of 12" and are 2 1/2" deep. Standard gauge is 24 but 22 is available. FW-120 is a concealed fastener wall and liner panel that provides a flat appearance. The flat profile is available with no beads, one bead or two beads. The heavy gauge offering provided large spanning capabilities, particularly in composite wall application. FW-120 panels have a coverage width of 12" and are 1 1/2" deep. Standard gauge is 24 but 20 and 22 options are available. The simplicity of the Artisan Series panel is its best design feature. Uniform dimensions and a clean appearance allow the designer to plan modules, eliminate complicated pieces and follow wall curvatures. Artisan Series panels have coverage widths available in 8", 10" and 12" and are 1" deep. Standard gauge is 24, but 22 and 26 options are available. Artisan Series panels are used for soffits and interior liners and are not recommended for use as a wall panel.